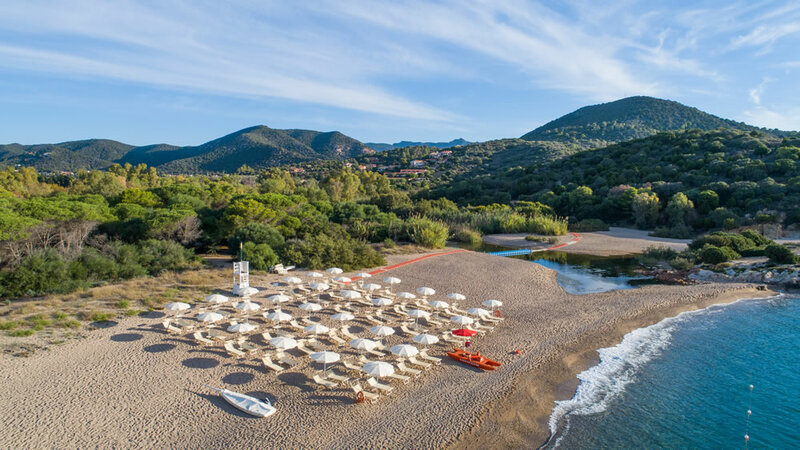 At the picturesque sandy beach on the south coast of Sardinia, in Domus de Maria, the freshly renovated Falkensteiner Resort Chia lets holiday dreams come true starting from spring 2019. 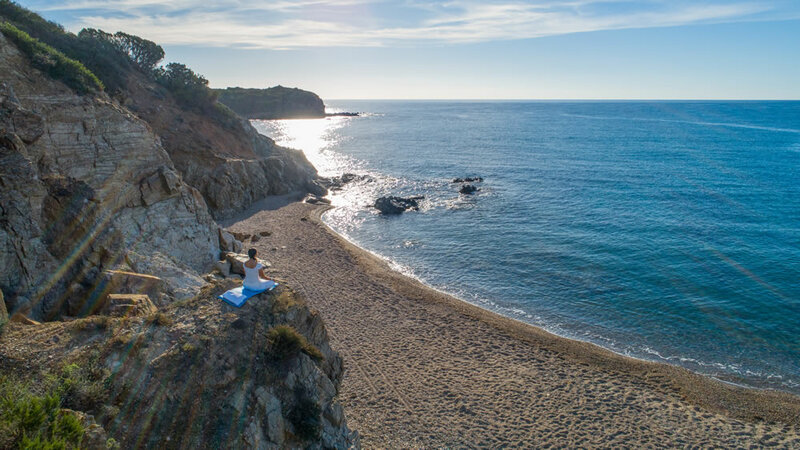 Here, in a sheltered cove on Chia beach, surrounded by a lush natural park, relaxation, culinary moments of indulgence, a varied activity program, cultural highlights and an unforgettable holiday experience are waiting for you. 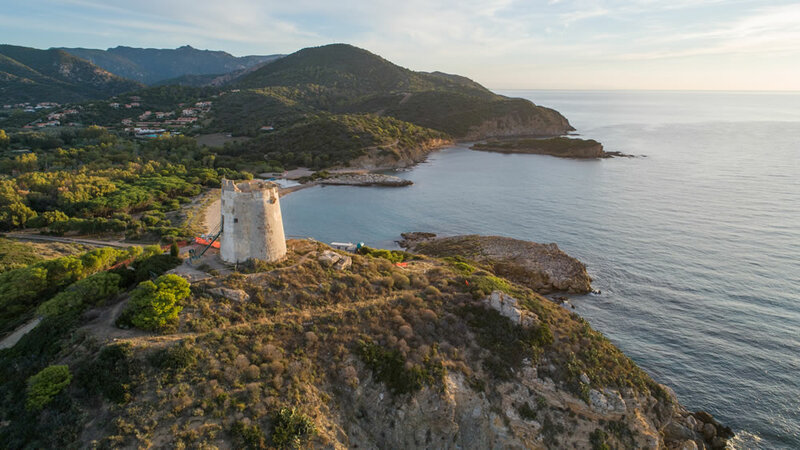 The golden sandy beach of Su Portu at the foot of the famous “Torre Chia”, a castle-like tower, which was built during the Spanish siege, is located just 300 meters from the hotel. “Nora”, a sunken city and historically significant archaeological site, is located near the hotel, in the town of Pula. It was founded between the 9th and 8th century B.C. and thus is considered the oldest town in Sardinia. The bright and comfortably furnished Comfort Rooms are fully equipped with a double bed, bathroom and WC. Enjoy a relaxing time on the balcony, patio or garden surrounded by a pleasantly friendly ambience and feel-good atmosphere. The bright and comfortably furnished Comfort Rooms are fully equipped with a double bed, bathroom and WC. Enjoy a relaxing time on the balcony, patio or garden surrounded by a pleasantly friendly ambience and feel-good atmosphere. As an additional highlight, guests enjoy side sea view here. The comfortable Superior Rooms are bright and friendly. 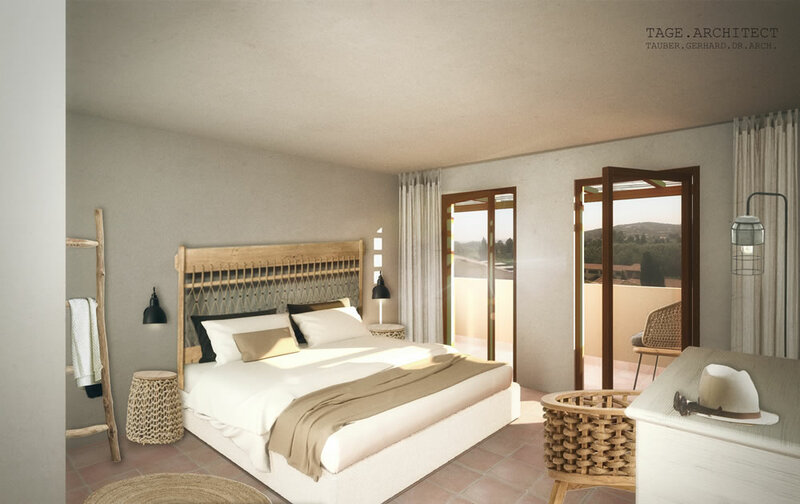 Fully equipped with a double bed, bathroom and WC, an open space that invites you to linger, as well as a balcony, patio or garden and much more for you to enjoy a perfect feel-good ambience. The spacious and comfortable Superior Rooms offer you the perfect feel-good ambience for your stay. Fully equipped with a double bed, separate bathroom and WC, large open space, balcony, patio or garden and much more. The side sea view harmoniously completes the ambiance. The spacious and comfortable Family Rooms offer guests – young and old – a friendly living ambiance that surely pleases all. 2 double rooms with connecting door, 1-2 bathrooms provide adequate space, the appealing open spaces invite you to linger. All Family Rooms additionally offer a balcony, patio or garden. 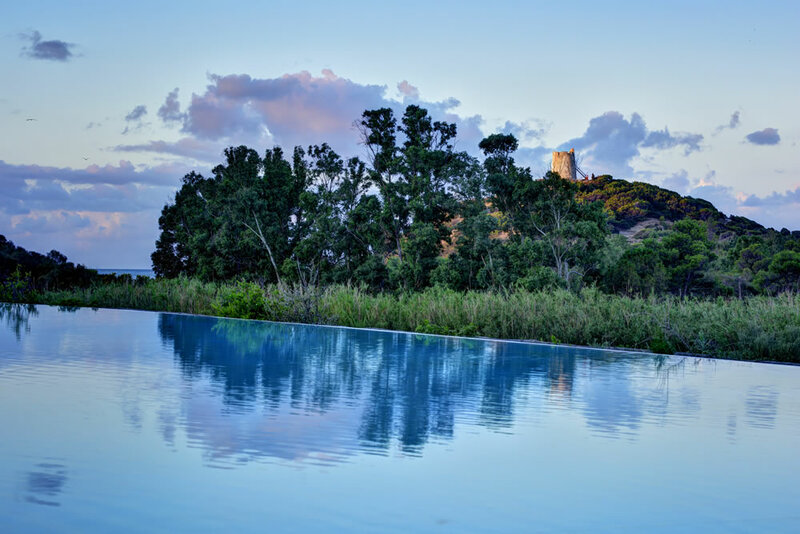 Holidays in Sardinia – a delight for all the senses. 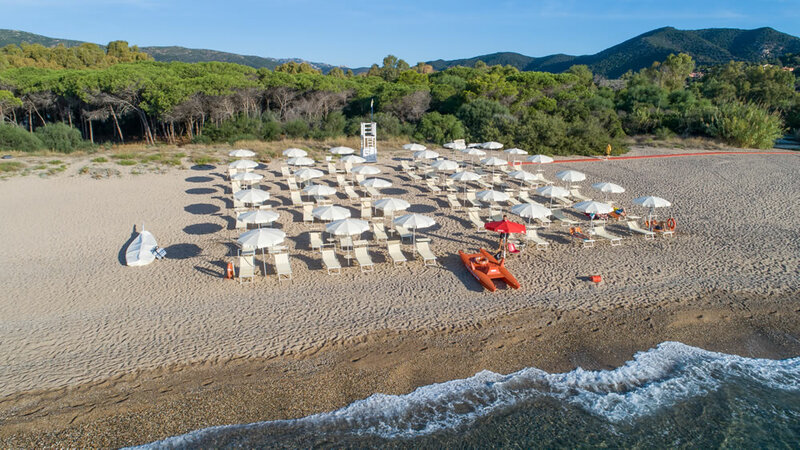 Falkensteiner Resort Chia with its half-board programme is waiting to indulge you with buffets serving up traditional Italian specialties freshly cooked at the various cooking islands. 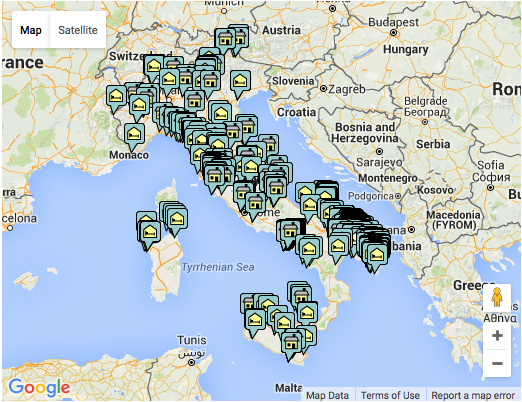 Enjoy authentic pizza and pasta over the day and in the evenings at a restaurant right by the pool. 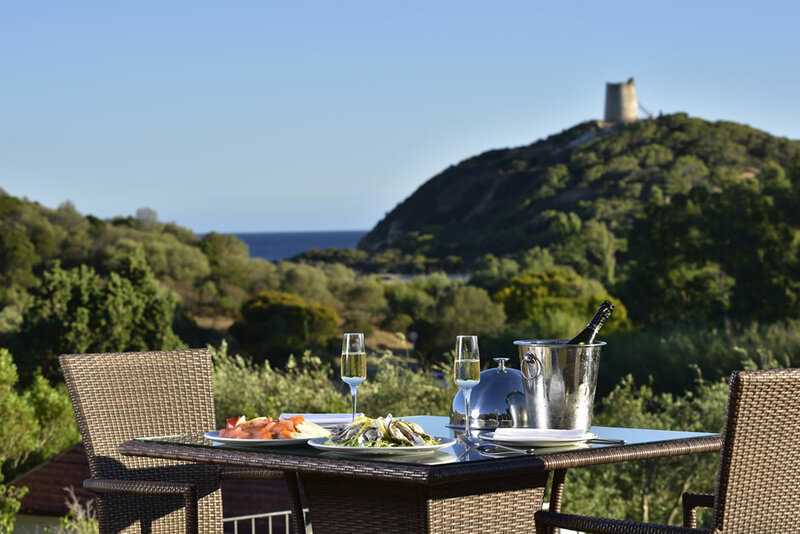 With its focus on fish and meat, the à-la-carte restaurant offers typical Sardinian dishes served to the table. Enjoy colourful cocktails and a refreshing choice of non-alcoholic beverages at the pool bar – without having to leave the water. 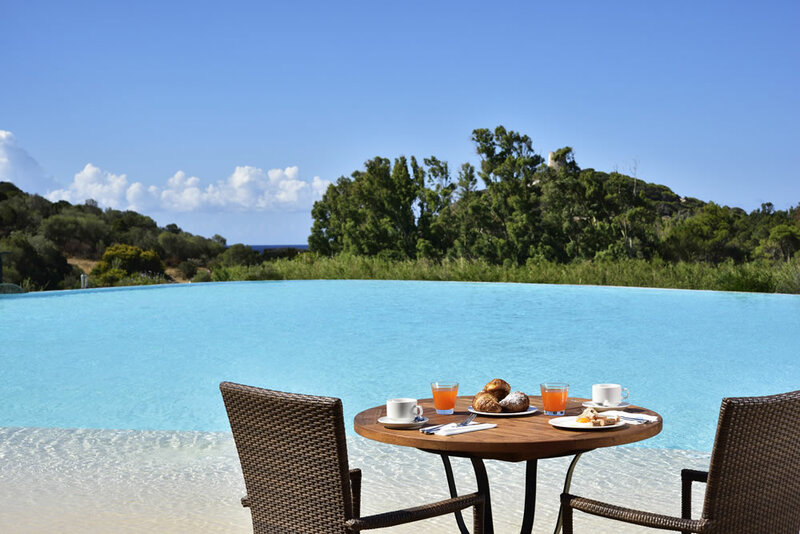 With its view over the swimming pool, the bar offers snacks between 11:00 am and 7:00 pm. 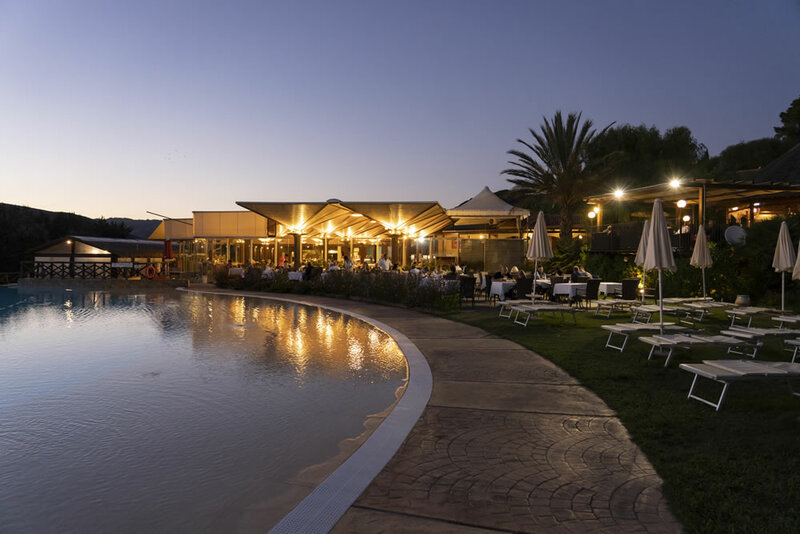 By the bye: once the sun has set, the bar is the perfect place to end a delightful day in Sardinia with chillout music. 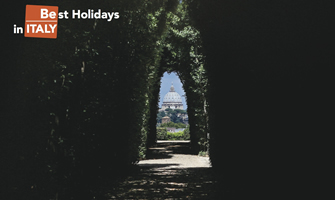 A large amount of relaxation is also part of the perfect holiday experience. You will definitely find it in our wellness area. 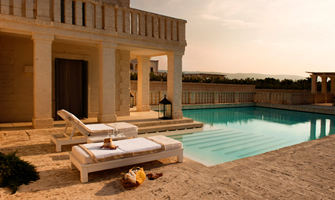 Enjoy the breathtaking view from the panoramic pool and pamper yourself with massages and beauty treatments. A gym, sauna, steam bath, adventure shower and a jacuzzi are available for your well-being from head to toe. 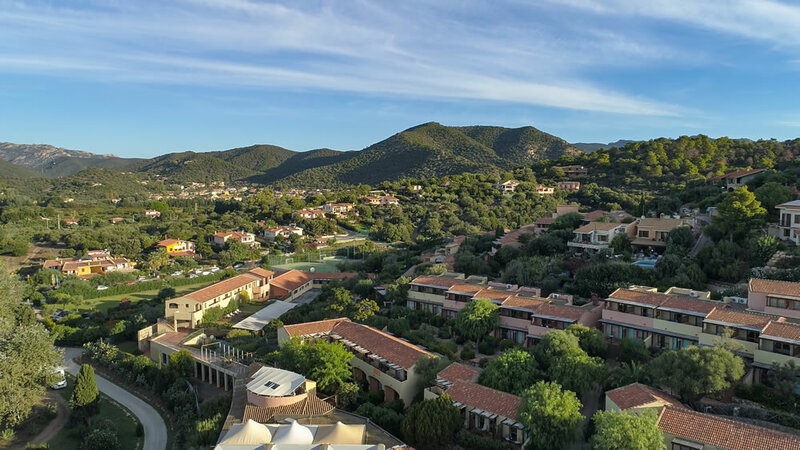 Immerse yourself in the incomparable attitude of life in Sardinia, and discover the variety of possibilities that will turn your stay into an unforgettable experience. 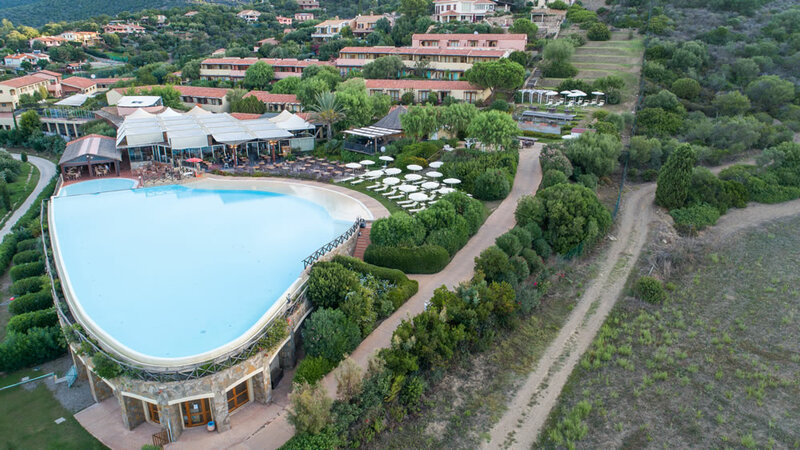 From spectacular archaeological sites to a comprehensive sports and activity program – there is certainly no time for boredom in Chia! 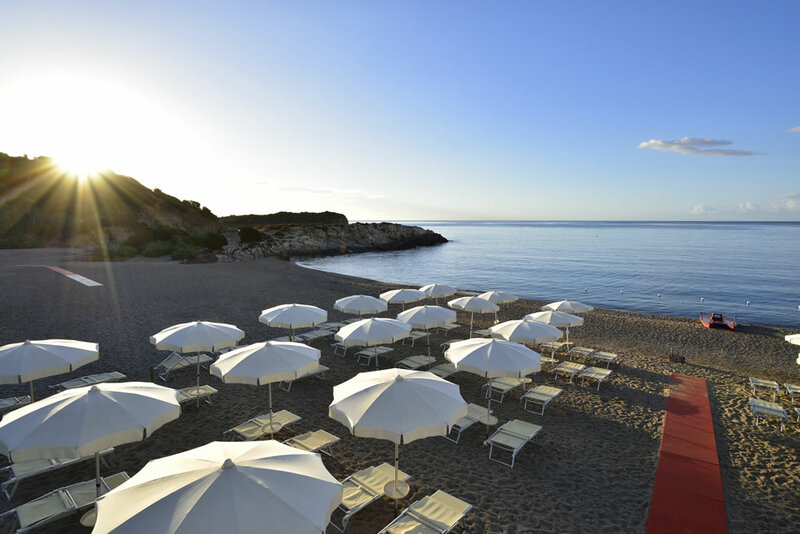 Resort Chia is located in one of the most popular and most beautiful seaside resorts in Sardinia. 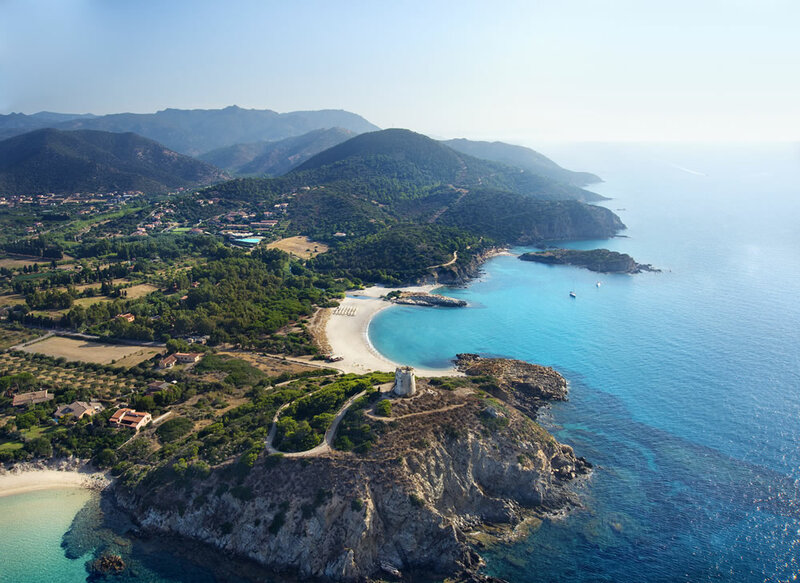 Chia is a district in the municipality of Domus de Maria, and is known for its beautiful bays, lagoon lakes, extensive beaches of fine sand, meter-high dunes, and crystal clear sea – so it is no wonder that there is a “Caribbean flair” here. 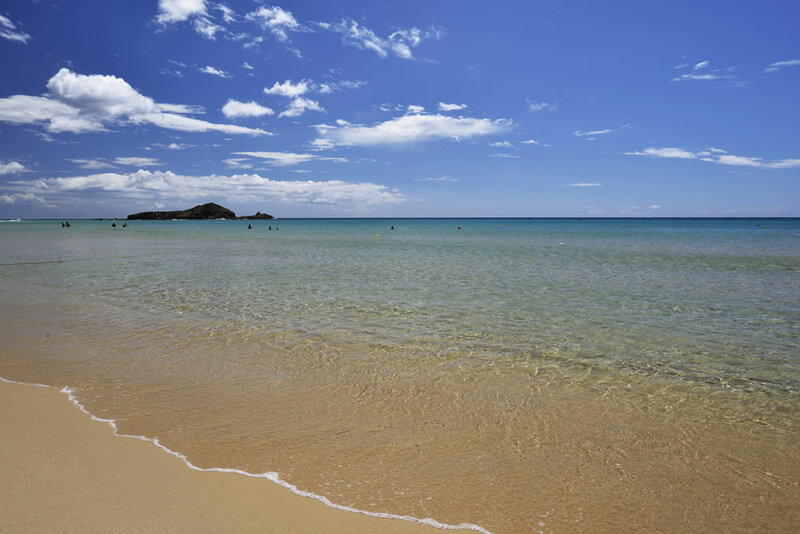 The beach of Su Portu is located just 300 meters from the hotel and is a real paradise for diving and snorkeling. 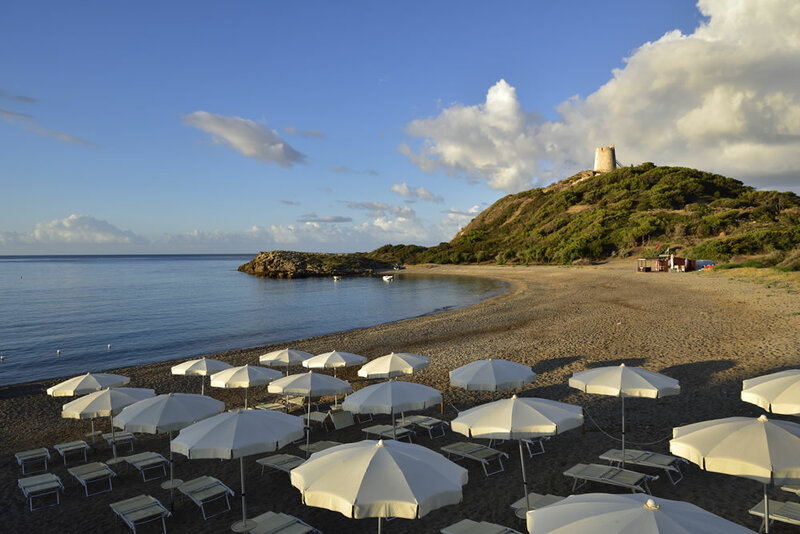 The beach of Su Guideu, just 10 minutes by car from the hotel, is considered one of the most beautiful beaches in the Mediterranean. 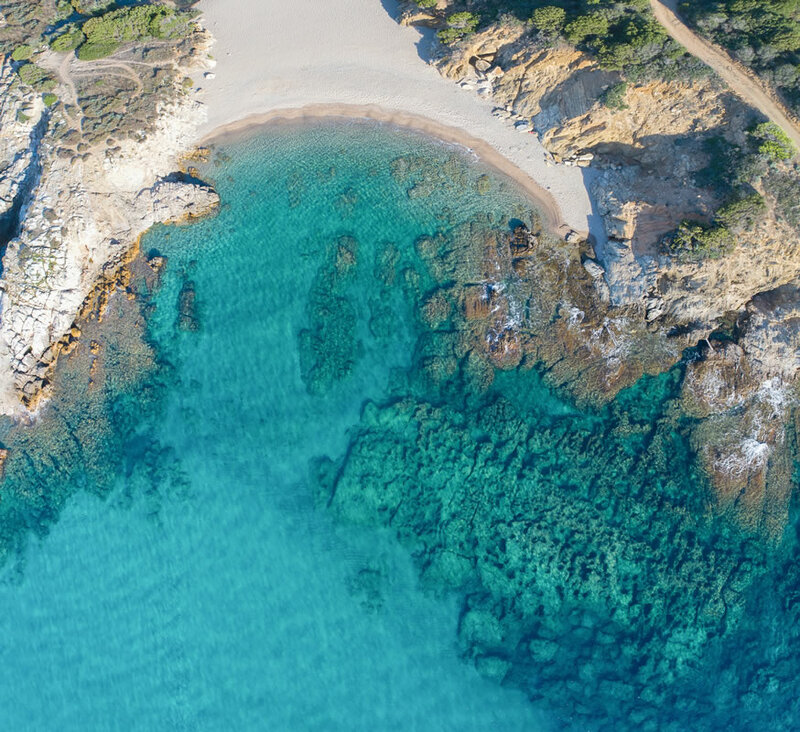 The small bay of Cala Cipolla is also worth a visit. 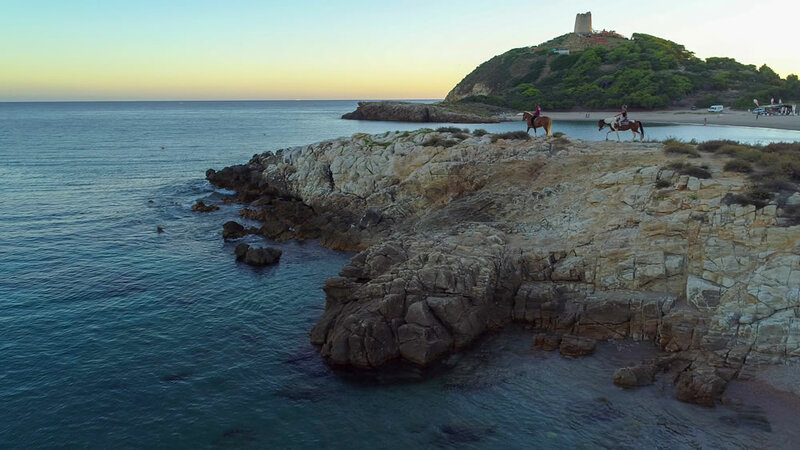 It lies at the western end of the Chia coastal strip and attracts visitors with its crystal clear water, the bright yellow beach and perfect conditions for surfing, scuba diving and snorkeling. 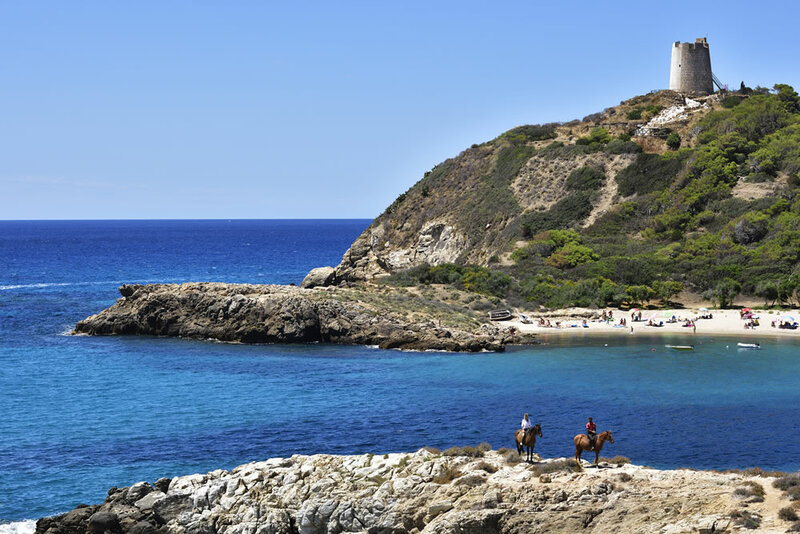 Behind the picturesque Cala Cipolla, a coastal hiking trail leads to Capo Spartivento with its lighthouse. 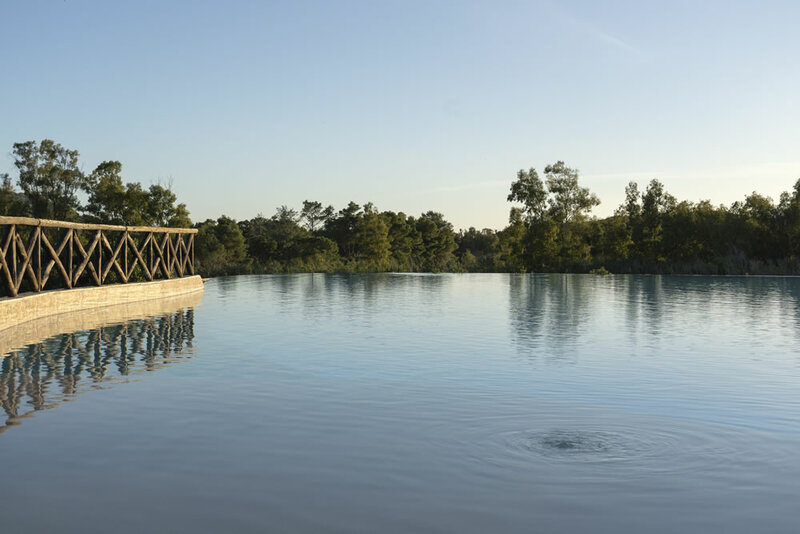 The beautiful countryside surrounding the resort offers a variety of possibilities for sports and outdoor activities. How about, for example, a guided and professionally accompanied horseback ride? 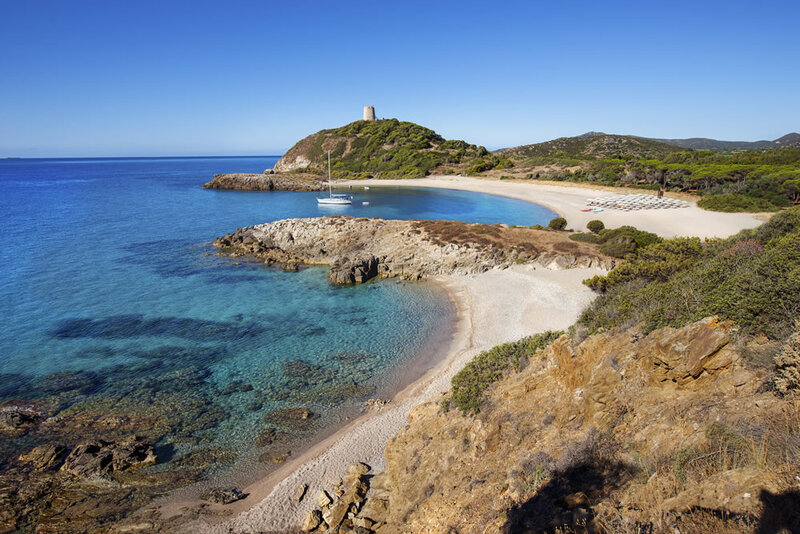 If you prefer the water, fascination will be guaranteed in the submarine world off the coast of Sardinia while snorkeling and diving. 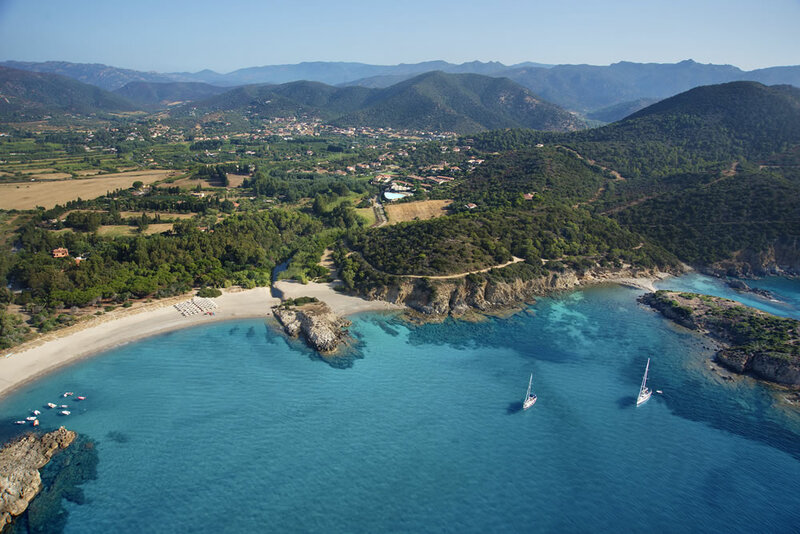 A very special experience is a sailing trip with the two-master “Milmar”. With a little luck, you can see dolphins on this trip. 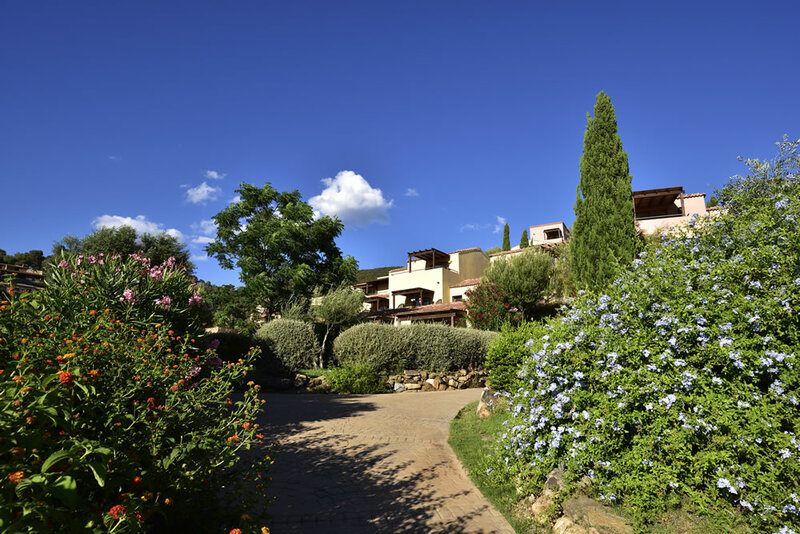 At the golf club “Is Molas”, a 27-hole golf course for extensive rounds on the green is available for you, and it is only 15 minutes from the hotel. At the hotel, a daily varied activity and sports program is offered in the fitness area as well as in the pool. 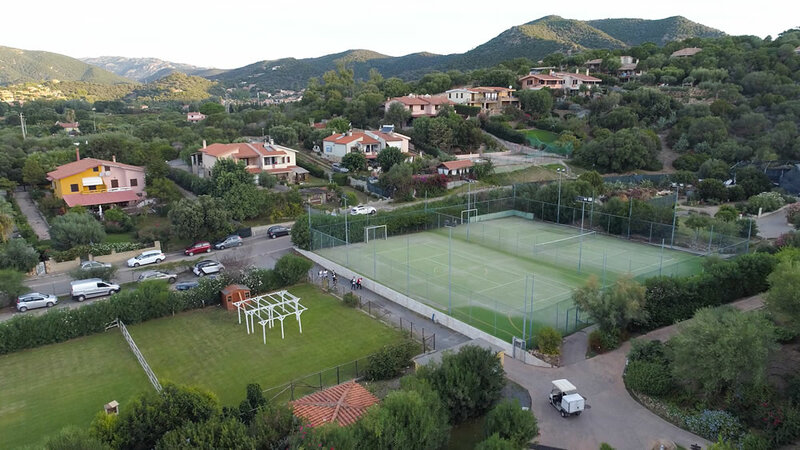 In addition, a tennis court and soccer field are available. The team at the front desk will gladly assist you with tips and suggestions about any activities in and around the hotel.